I found that the best solution to this problem is to avoid breaking those wires in the first place. I now add some silicone caulk (kit) where the wires exit the motor base. You could also use 5 min epoxy, goop, hot glue, ... Use a toothpick or any small tool to apply it. Make sure not to touch the belly so it can spin freely. The only goal is to fix to wires in place. If you ran out of luck on one of these small wonders and you have enough time you could try rewinding your broken micro motor. But believe me it's a terrible job requiring a magnifying glass. Sometimes you can even just reattach the broken wire! For that you need to understand how these things are supposed to be wired in the first place. 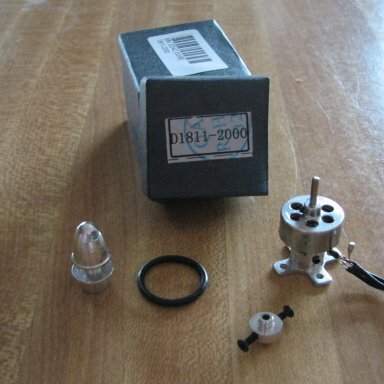 Check this page with a lot of information on brushless motors. On rcgroups you can often find rewiring threads. Like this thread on rewinding the 1811 2000kv micro brushless motor. Oh and you'll need a small hex driver also. The smallest one available in most kits is 1,3mm. Good luck finding this 1mm one ;-). These 1811 micro motors only cost around 8 USD at hobbyking so you could as well buy a new one. Just don't forget to secure the wires this time!